More than 50% of all product searchers are made on Amazon already. And this is exactly the reason, why you have to have your products listed here. We create professional product listings for you and help you to increase your visibility, better ranking and at the end to generate more sales. We create for you the optimal marketing measurements, even outside of Amazon. Better ranking of your products in the product searches mean more sales. It is sometimes simpler than expected to be better than the concurrence and to become bestseller. We will explain you, which strategy is the best for you to increase sales for each product. No matter which product or product category. We have the right strategy to boost your sales immediately and sustainable! Especially Amazon Seller, with their own brand and range of products can profit from focused brand strategies and can take advantage of the full spectrum of marketplace optimization. Become one of them! We give you valuable advice on branding and brand management on Amazon. If you are not able to build your brand in the next years, you won’t be able to be as successful as you can be now. Most seller are asking themselves at the beginning “Should I start as regular seller and ship all good by myself, should I use FBA (Fulfilment by Amazon) and take advantage of Amazon Prime, or shall I directly start with the Amazon Vendor Program?” Each path has his advantages and disadvantages and you should consider a lot of different aspects, when it comes to selling strategy on Amazon. With a detailed consultation, you will get a clear picture about the possibilities as seller and will gain an advantage due to knowledge on the long-term. Making the right decisions at the beginning lead to a solid foundation for a successful future. YOUR BRAND. VISIBLE. MAXIMISED CONVERSION. Most importantly, your products and your brand should be presented in the utmost way possible. Premium content with tool-based researched keywords are the key of success to increase relevance on Amazon, which boots conversation and is therefore leading to more sales. Our international team of experienced sellers will assure that prospective customers will find exactly that kind of information on your product pages, that is needed to convince them to buy. Marketplace optimisation (MPO) is the key to multiply your sales. Managing the Amazon Seller Account requires an eye for the detail and constant attention. Structure products and variations for best use of cross selling to perfectly present the product range, handling Amazon support cases, upload and monitoring of product listings, taking care of seller feedback, and many more tasks are necessary to boost your performance on Amazon by increasing the brand and customer experience. There are a variety of tools available on Amazon to leverage sales. Professional advertising on Amazon is essential. The implementation of marketing strategies that are successful demands actions that are goal orientated. We as specialists, can ensure to use the right tools for your brand to increase sales and brand recognition. Using the right activities and continuous improvement will boost your sales! Next to marketing on Amazon, we are happy to support building your brand outside of Amazon as well. An overall online marketing strategy helps driving prospect customers from outside to you products on Amazon, this having two advantages 1) more sales and 2) better ranking of your products as the Amazon ranking algorithm appreciates outside traffic. Helping you selling on different Amazon marketplaces does not simply mean to translate your products into the different languages to us. It is by far more; our experienced team of international sellers will optimize your product listing according to the particularities in each marketplace and consider special keywords and sales arguments. Whatever marketplace you want to enter, we are the right partner for you. Our dedicated team includes specialists from Germany, the UK, the USA, France, Spain, Italy and other countries. All with long-lasting experience in selling on Amazon and Marketing. Interact Services covers all languages relevant for Amazon. There is lots of competition on Amazon and the number of sellers is increasing constantly. Just as an example, today, there are already more than 40,000 sellers active on Amazon Germany and are offering millions of products. What sounds like a pessimistic and confusing situation in terms of competition, can at the same time be a chance for online sellers thinking about offering their good on Amazon, enlarge their range or want to optimize their products. 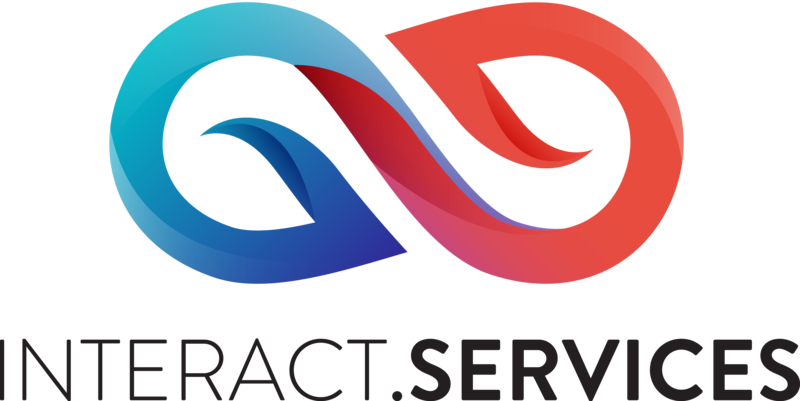 We at Interact Services are offering a comprehensive and professional service for Amazon Seller, no matter if newbie, experienced seller, or large vendor. We enable you to be successful as Amazon Seller. Every minute without professional Amazon optimisation means losing money.